Waterbase Eco-Series inks are eco friendly inks, formulated with no hazardous material keeping in mind the health, atmospheric care and print challenges. 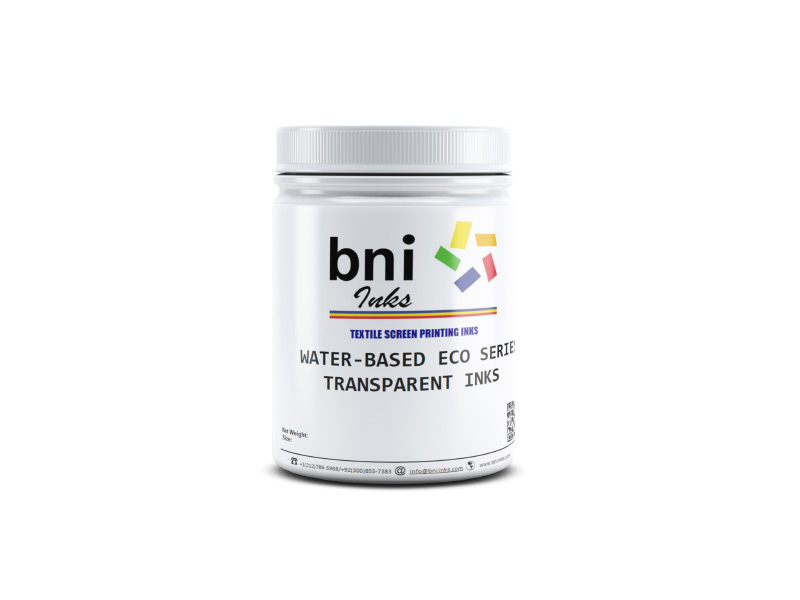 A carefully formulated range of inks covering a wide effects of textile prinitng allows you to shift your print works onto the waterbased systems, without compromising on quality and productivity. Recomended for automatic press. Supreme quality transparent base for pigment printing on light color fabrics. Soft after print feel, high pigment holding capacity, high washing fastness, compatible for wet on wet printing, printable via fine mesh. Extremely soft hand feel. Specifically catering the need of fabric like hand feel prints, recommended for 100% cotton light weight fabrics. Specifically designed to solve print problems on high elastic fabrics such as lycra, spandex etc. High elasticity, high washing fastness and smooth running on automatic press and manual printing methods. 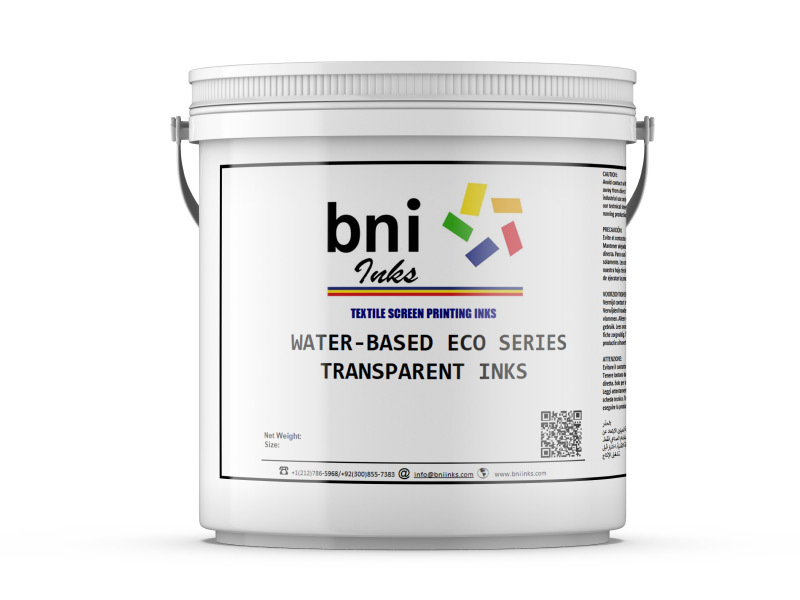 Everyday use cost effective transparent paste for pigment printing, recommended for manual prinitng methods specifically designed for price tight jobs. High Opaque ink, thick feel and medium wash fastness.